Sparkling multicoloured jewels are clearly the type of luxury item we’d all like to be able to afford but failing that you can get just a little bit closer to these polished stones by checking out an online slot such as 7 & Co; it’s an odd name to be sure but it looks good, it’s developed by Espresso Games and you can read al about it below. 7 & Co is a five reel slot with three rows and eighteen fixed paylines; there’s a luxurious black feel to this game so all the focus is on the expensive symbols with no distractions. The symbols are all related to the theme and so we have a gold ‘J’ (for jackpot), a diamond encrusted bell, cherries, a golden bar and four jewels of differing colours – pink, blue, yellow and white. 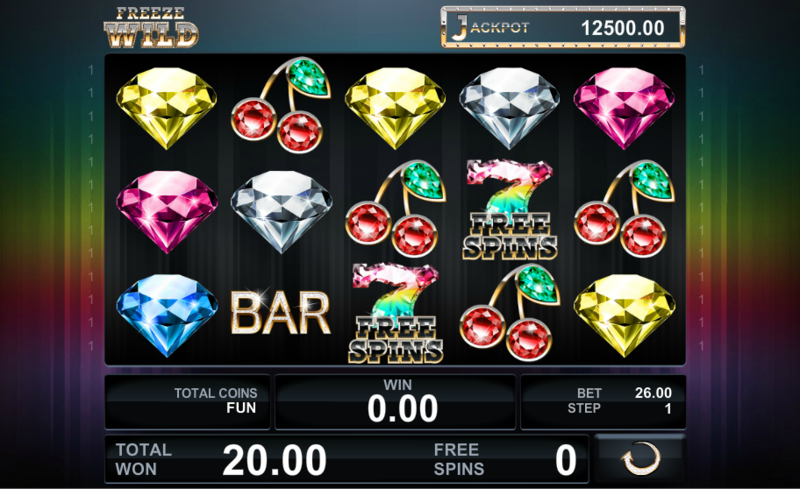 The wild is a big sparkly ‘Wild’ which appears on reels two, three and four and substitutes for all other symbols except for the Free Spins bonus icon. This is triggered by landing three of the Free Spins bonus symbols anywhere on reels three, four and five for which you will be rewarded with seven free spins. 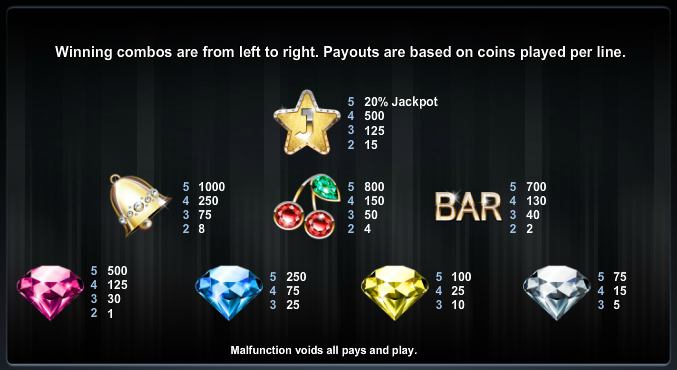 White Diamond – doubles payouts for white diamond combos. Yellow Diamond – can expand to cover all positions on it’s reel and triples payouts for yellow diamond combos. Blue Shock Diamond – can create extra wilds on the reels and doubles payouts for blue diamond combos. Pink Diamond – covers all positions on it’s reel and quadruples any pink diamond combos. Freeze Wild – covers all positions on it’s reel and stays there for four spins. Sliding Wild – moves one place to the left on each spin until it reaches reel two. Magic Wild – moves one place downwards with each spin until it reaches the bottom. Landing three more Free Spins icons will retrigger the round. The progressive jackpot total is shown in the upper right hand corner and it can be yours if you land five jackpot symbols on an active payline. You need to be playing at the maximum coin level to win 100& of that amount. 7 & Co looks fairly basic but there’s more to it than meets the eye; it has a really in-depth free spins round, a progressive jackpot and an RTP of 95.59% so check it out!.